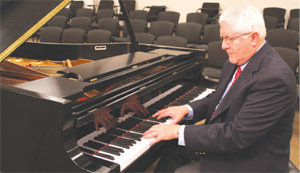 Music Professor Ron Staton plays a Steinway concert grand piano in the Visual and Performing Arts Center. A $100,000 9-foot Steinway concert grand piano was donated to OCCC this month. It will be used in the new theater currently being constructed. The piano was shipped to Oklahoma from the Steinway piano factory located in Queens, N.Y., where it was prepped before being sent to OCCC. The piano is being used in the Visual and Performing Arts Center until the theater is completed. OCCC President Paul Sechrist said the high-caliber piece of musical equipment is a tremendous gift to the college and its students. Sechrist said OCCC needs the instrument which will project well in the college’s new Performing Arts Theater when it opens. “We want to have our piano students to be able to play it and have it for performances,” he said. Sechrist said Oklahoma City businessman Edward Krei came into Edmond Music with an idea of helping students with music instruments. After discussion with Edmond Music owner Mike Gilliam, Gilliam referred Krei to Sechrist. In the meeting, Sechrist talked about OCCC students, dreams for the new Performing Arts Theater and the college’s mission statement. “Community college students should have the same access to the same equipment as university students,” Sechrist said, “whether it’s science lab equipment or music equipment. That’s why we are building a theater. (Students) should have a theater. Krei said he believes in the power of Sechrist’s message. Krei went to college on a music scholarship at the University of Mississippi where he played in band and met his wife. Krei said he attributes the quality of his education to his success in life. “I believe if kids, no matter what the age group, could be exposed to music it would greatly enhance their education,” he said. Sechrist said, since OCCC had the opportunity to select the piano, Sechrist asked music Professor Ron Staton to travel to the Steinway Piano factory to select the piano. “What you do is you go to the factory and you select which one you want, because pianos play differently. 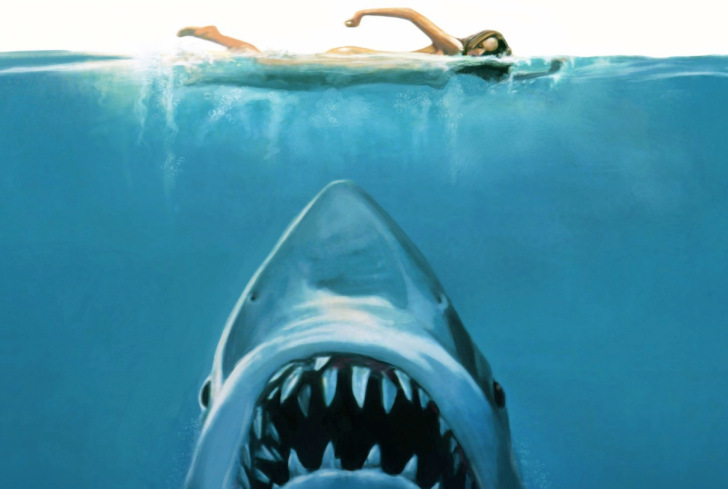 They are not all the same,” Staton said. Staton said he played a variety of different kinds of music on the piano to see which one exhibited the qualities he was looking for. Staton said the new Steinway is the top-of-the-line in terms of quality musical equipment. “It’s as good as it gets,” he said. Sechrist said he agrees with Staton about the quality of the piano. Sechrist, who plays and owns a piano, joked about being eager to have the opportunity to play the new Steinway. “I can’t wait. I hope [Staton] will let me play it now and again,” Sechrist said. C.C Simon, music major, said she is equally as excited for the new piano. Sechrist said he believes the new Steinway and the new Performing Arts Theater will attract future music majors to the college.